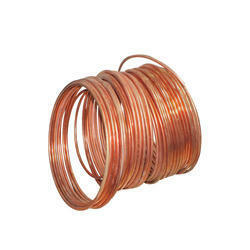 We are the leading manufacturer, supplier and exporter of Copper Bonded Steel Grounding Conductor. These are manufactured from high grade material and latest technology and the products are able to meet the national and international safety standards. We are the leading manufacturer and supplier of Copper clad steel conductor. Looking for Grounding Conductor ?